Another great Art Adams piece here. 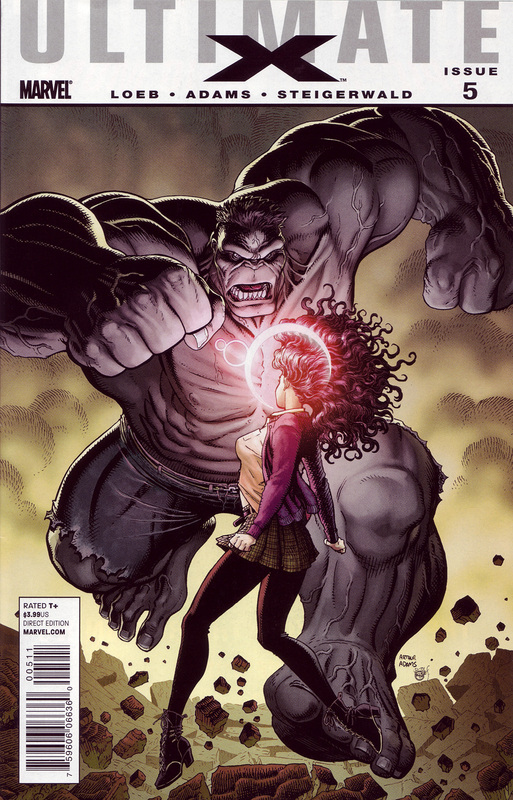 Nice contrast between the huge Hulk and the petite Jean. Pretty good. Both figures could look a little more impressive. To be honest, I dislike each cover of Ultimate X (the other one in the top 100 as well) but now that I see that one here and I analyse it in details… Yeah, it was a good one but I’ve difficult with the Adams’ drawing… But I would not include this one in a top 100.